Should Tulsans boycott Katy Perry? 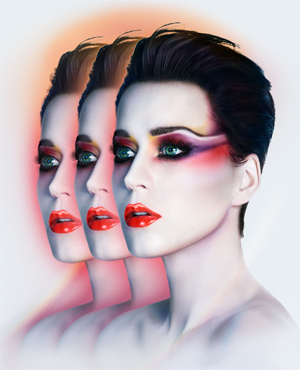 Katy Perry brings her “Witness“ tour to the BOK November 29. Tickets are on sale. The question is: What is Perry’s “witness” on what topics with what level of wisdom? The short answer appears to be: self-aggrandizing stupidity worthy of protest after Perry spoke on the Manchester bombing. Please understand that this is not a review of Katy Perry’s vocal skills or that of her producers, writers, band, dancers, makeup artists, costume designers and pyrotechnical experts. Tulsa Today is sure they stand at the top of their respective fields. Capital Records is obviously proud to promote their artist, but does Perry have a brain or heart and does it matter to Tulsa fans? Think about that for a moment. It is truly sinister. It’s evil ignorance. Perry scolds our borders and barriers, Walsh notes, from the security of her private estate, protected around the clock by walls and gates and a security detail. So, when she says “get rid of the barriers,” she means get rid of them for normal folks like us. “She’s still entitled to live in her fortified mansion (that used to be a convent until she bought it against the wishes of the nuns who lived there) because she’s different. She’s special. You and I must sacrifice ourselves and our families in the name of multiculturalism, but not Katy Perry. We can’t expect her to jump on this particular grenade. After all, she’s more important. She sings songs about making out with women. She dances in her underwear. Whatever you’re doing with your life, it’s certainly not nearly as necessary for the betterment and sustenance of mankind,” Walsh writes heavy with sarcasm. The point of this post: If guardians or peers of the pre-teen flock give a rat’s tail about their survival, maybe a boycott of this talented artist is proper until Perry finds some wisdom (learns history, gets a clue on current events, etc.) for her “witness” tour and/or in her daily life. Please do not think this question of boycott is directed only at youth. Many older fans long ago stopped attending concerts and buying records from Barbra Streisand and the almost-old left Madonna long before she spoke of her heart’s desire to blow up the White House. Do Tulsans care that Katy Perry is teaching our children (young girls mostly) to be mentally vacuous, blind and submissive if not stupid victims waiting for the next terrorist attack? Should Tulsans boycott Katy Perry? Your comments welcome, but at least consider: At what point must we abandon the worship of fame for our own youth’s sanity and security? 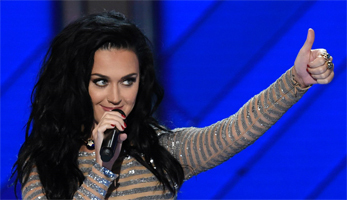 Click here to read Matt Walsh’s Katy Perry editorial on The Blaze. This entry was posted in Out & About, Tulsa Speaks on May 26, 2017 by admin.